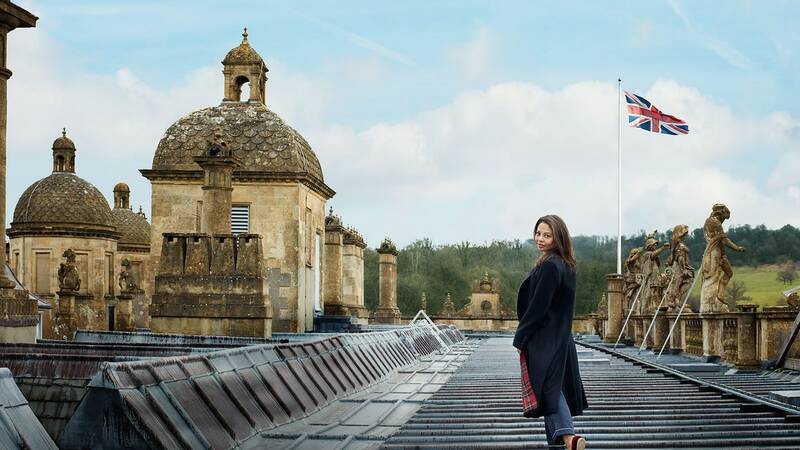 Emma Thynn, an extraordinary cook and mother who is positioned to become Britain’s first black marchioness, has recast the mold of aristocracy with her stylish, entrepreneurial spirit—despite a strained relationship with her in-laws. So there we were, the future ninth Marquess of Bath and me, on a boat patrolling a lake on his family’s estate, each of us holding a plastic cup full of sprats. All at once, some sea lions surfaced starboard, barking expectantly, their whiskery maws wide open. We hustled to the boat’s railing, emptying our cups, tossing the silvery fish to the appreciative beasts. The marquess-to-be took to this task with particular relish, unsqueamish about getting his fingers slimy and barking back at the sea lions, “Urt! Urt! Urt!” As was only appropriate: he is three and a half years old.